After completing the work for the AAS demo of the NYWF project we crawled back to our cave and started questioning whether it’s a good idea to continue working with the Ogre 3D engine. We built small tiger teams to evaluate 3 – 4 engines. 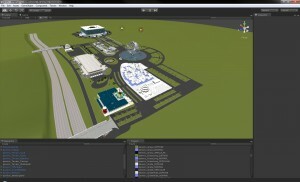 Unreal, CryEngine, Trinigy and Unity. 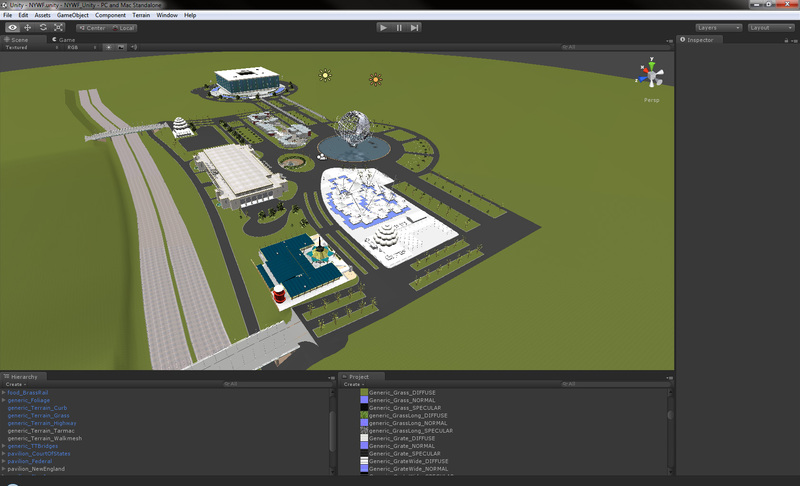 I took on Unity and rebuilt parts of the fair from the content we have from the AAAS demo. Unity is a very modern game engine. It supports all the new devices and platforms. It’s very convenient since authoring one game means you’ll be able to deliver on several platforms. We decided to keep going with Ogre3D mainly because of licensing issues. While all engines provide an EDU licensing scheme, that scheme is meant to be for educational purposes only. As long as you distribute your game for free, you might use the engine for free. But since our final deliverable is going to go into museums where people pay admission, we had to drop almost all of the engines immediately.